Apple products don't infringe on technology owned by Motorola Mobility, a German court ruled on February 10, handing Apple a victory a week after Cupertino failed to secure a preliminary ban on German sales of Samsung's Galaxy 10.1N and Galaxy Nexus. Judge Andreas Voss of the Mannheim Regional Court said Motorola failed to conclusively prove that Apple had infringed on a patent related to "a method in a wireless communication system for generating a complex pseudonoise (PN) sequence for processing a code division multiple access [CDMA] signal." As a result, the court wouldn't grant Motorola's request for an injunction against the Apple products, Voss said. Motorola claimed its patent was "essential" to 3G/UTMS wireless telecommunications, but as patent blog FOSS Patents explains: "In the court's opinion, MMI failed to present conclusive evidence for its infringement contention ... [because it] argued that any implementation of 3G/UMTS must inevitably infringe this patent claim, as opposed to demonstrating that the accused Apple products actually practice the claimed invention." Basically, Motorola attempted to claim its patent was a general telecommunications standard, despite the fact that no standards committee would support that claim. The court's decision is tantamount to saying "just because you say it is, doesn't make it so." 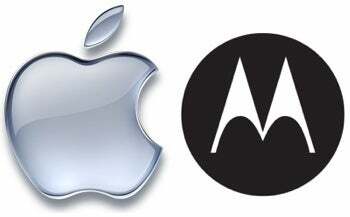 Apple's win here is significant because it comes after dual losses in prior Motorola patent infringement lawsuits. Last December, Motorola won in a ruling related to a patent Motorola said was essential to GPRS (data transfer over 2G and 3G technologies), and just last week, Motorola secured an injunction against Apple products related to Blackberry-like push services. Next up, Motorola and Apple will square off in Düsseldorf over a third patent infringement suit (filed by Motorola against Apple), a case FOSS Patents thinks today's Mannheim verdict may influence: "It's quite possible that MMI will try to do better in the Düsseldorf case by following the guidance from Mannheim and presenting infringement contentions based on the actual product as opposed to the specifications of the standard," says the blog. Matt Peckham writes for TIME and PCWorld. You can find him on Twitter, Facebook, or Google+, and follow Today @ PCWorld on Twitter, too.